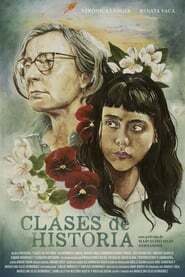 Verónica, a middle-aged highschool history teacher, leads a non eventful life: she has grownup children, grandchildren and a less than perfect marriage. This dynamic seems to be the only thing she can hold on to, as she battles a terminal illness. As she reluctantly accepts her fate, she meets Eva, an irreverent and misunderstood new student who unknowingly injects some life and enthusiasm back into her and provides her with the tools to deal with her destiny.